We are the prominent manufacturer and supplier of PTFE Bush, these bushes are manufactured from a quality raw material so that our customers can enjoy the best quality of our products. These are available at very reasonable price in the market than other manufacturers. PTFE is a self-lubricating material that provides low friction coefficient and is ideally suited for the manufacture of corrosion- resistant gaskets & seals. PTFE Bush have wide industrial use in many industries such as chemicals, petrochemicals, fertilizers, food & Beverage, Pharmaceuticals, electricals, electronics, aero pneumatic, atomic energy etc. PTFE Sight glass Bushes are manufactured from the best quality material. These can be used in glass equipment because of its wear life compared to other thermoplastic is very low. These PTFE sight-glass bush are maintenance free and have cryogenic stability. It also is known for its non-wetting property. 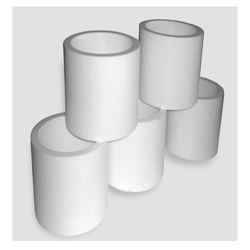 We offer a wide range of high quality PTFE T Bush to our valuable customers. These products are available at cost effective market prices. These products are available in various grades. These products are ideally suited for the manufacture of corrosion-resistant gaskets and seals. These products have excellent insulating and chemical resistant properties. These products can withstand extremely high temperatures. These products can be customized as per the requirements of our valuable customers. We are among the topmost manufacturers, suppliers, and exporters of high quality PTFE Filling Bush. These products are widely used in electrical and electronic applications that are needed to be operated by extreme high temperature. These products are ideally suited for the manufacture of corrosion-resistant gaskets and seals. These products are known for their dimensional accuracy and compact design. These products have excellent insulating and chemical resistant properties. We believe in effective and timely delivery of these products once ordered by our valuable customers. 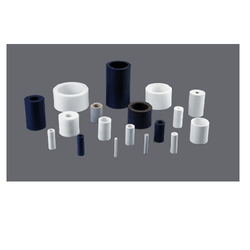 Looking for PTFE Bush ?